This is a follow-up to my original post on SHADO Yards from May 24, 2016. This diorama features moving parts, so I’ve decided to show what it looks like in motion. It was inspired by the 1970s TV series UFO. SHADO Yards is half diorama, half model railroad. I had long thought about building a model railroad. But I realized I wouldn’t be satisfied with a conventional layout using off-the-shelf rolling stock, and decided I wanted to go with a science fiction theme instead. So the “train” in this diorama became a launch pad, which carries a factory fresh Interceptor from the assembly building to its launch position. I realized it would be less expensive to use an electric motor with a chain and sprocket drive, rather than a DC or DCC equipped locomotive, which would require an expensive controller. As you can see from the video, the transport mechanism moves at a constant speed. The video also shows off the lighting to good effect. The sound effects were added in post production. PLM has just announced new products in its Dioramansion series for upcoming release: Savanna, Western Ruins and Halloween (August), and Skating Rink (October). 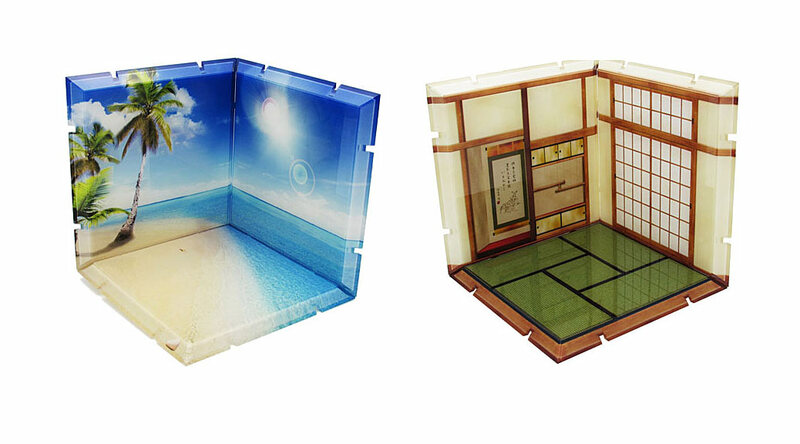 These full colour displays are intended to be used as backgrounds for children’s dioramas and include a base and two backdrop walls, each measuring about 10x10cm. Notice I said two walls, not three. The base has been rotated so it’s a diamond instead of a square, so only two walls are needed to create the background. This is a clever design twist which reduces the number of vertical creases in the background. There’s still one crease where the two walls join, which works fine for interior scenes, but not as well for outdoor ones. 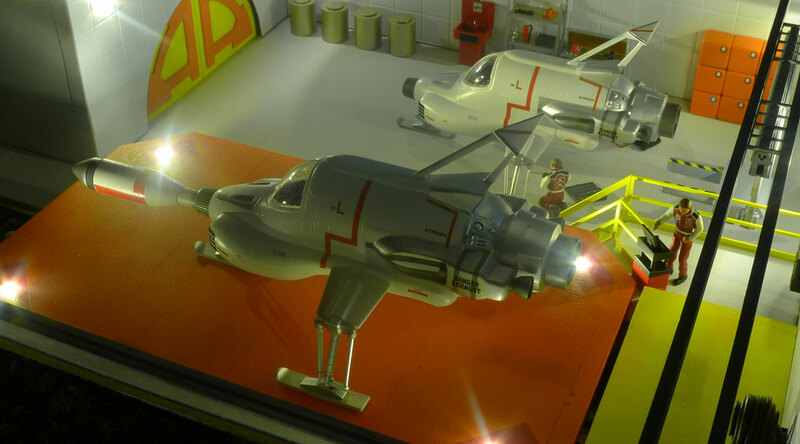 PLM’s products offer the young modeller an accessible path into the world of dioramas. They remind me of the dioramas at the Lego Store—colourful and not too fussed about realism—and are aimed at a similar demographic. By adding some action figures or toy vehicles to a Dioramansion, a simple diorama can be created in minutes. PLM’s Dioramansion series is highly recommended for young modellers and is available through HobbyLink Japan at https://hlj.com. A great introduction to the world of dioramas.